We talk a great deal of smack about being an entrepreneur, however we don’t follow through when the going gets rough. Going in business for yourself sounds easy however wait until those long nights hit you. Let’s talk about the ultimate entrepreneur I met recently. Her name is Sandra Felecia and I had the pleasure of interviewing her. She had no idea it was an interview because we just sat and talked. She, Sandra Felecia is a graduate of Florida International University with a B.S. in Elementary Education and a M.S. in Urban Education. 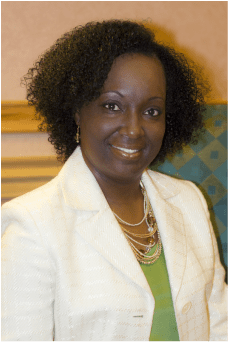 As a former classroom teacher and assistant school administrator within the Miami-Dade County Public School system she has touched the lives of many young people. She firmly believes that education is not an option, it is a privilege that should be taken full advantage of. This is a very profound statement. Sandra has four (4) Sons therefore, below is of most importance. I found Sandra to be the quintessential woman of determination. Additionally, she has already published her first book Titled: “The Affirmation of Me” by Sandra Felecia. I have watched her in action and when she sleeps I don’t know. She reminds me of the energizer bunny, she never stops. Sandra also has used her additional time (What additional time?) to find housing for displaced people from the hurricanes. I really can’t understand the people I meet telling me how hard it is to start a business after meeting Sandra a single Mother of four boys making time for all of her other endeavors. Nothing in life is easy, however “ No pain No gain.” Click here to visit the Abundant Life Ministries-Hope House, Inc. According to my SBA findings African Americans have launched entrepreneurial endeavors in record numbers. From 2007 to 2012, the number of black-owned businesses increased 34.5%. Black women have been particularly active in starting businesses; outpacing all other demographics in creating startups by six times the national average. While these are great achievements for black-owned businesses, making a business successful requires a lot of grit, determination, and knowledge. In business and life, timing is everything. Here’s how to recognize the signs for when it’s time to launch your business, and what to expect along the way. Succeeding as an entrepreneur takes focus and resolve. Based on the people I have met, they are lacking in this area. Not only do you need to be passionate about your business, which will ultimately motivate your drive after setbacks, you need to have a market fit. Build a successful partnership by finding a co-founder who motivates you, and who you motivate in return. Read even more great advice on how to successfully get a business off the ground here. Hey Buddy!, I found this information for you: "Abundant Life Ministries-Hope House, Inc. by Mr. Free Spirit". Here is the website link: https://blackmeninamerica.com/abundant-life-ministries-hope-house-inc-by-mr-free-spirit/. Thank you.